- The tread compound of the Nitto NT420S tire utilizes silica, which reinforces the tread blocks to help prevent tread flex. The siping on the inner shoulder blocks cuts through pockets of water on road surfaces, enhancing wet traction. This will help you connect to the road, improving wet handling and braking. - The asymmetrical, non-directional tread pattern of the NT420S tire allows for cross-rotation to reduce irregular wear. 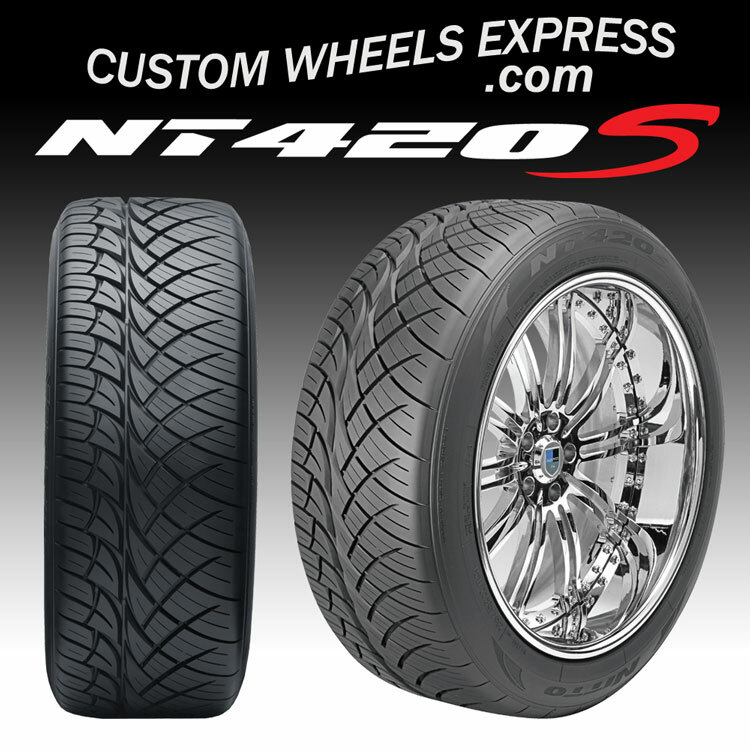 - The large outer tread blocks of the Nitto NT420S tire increases the amount of surface area in contact with the road. This feature improves dry cornering and handling of the nitto NT420S.